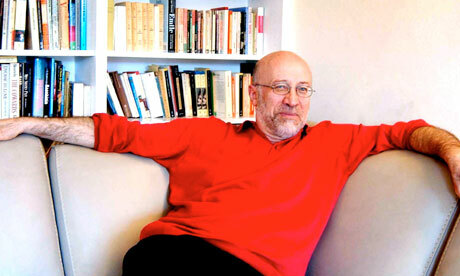 I wanted to write a quick blog on historian Tony Judt, author of works such as Postwar, who died recently of Lou Gehrig's disease. In 2009, Judt won an Orwell Prize. It hasn’t gone unnoticed among commentators that in recent years this award has been showered upon those not exactly in keeping with the spirit and meaning of Orwell’s writing (think Peter Hitchens). This seems to underscore a wider abuse of the great man’s legacy, with every agitprop left-wing writer going attempting to lay claim to his mantle, explicitly or implicitly, at some time or another - usually using his name as a kind of smug trump card to prop up their arguments. But in Judt, I think, the Orwell Prize has found a fitting home and Orwell’s spirit an unlikely echo. Most of Judt’s obituaries and especially those in US newspapers mark him out as a radical or controversialist, owing mostly to his 2003 essay Israel: the alternative in which he argued a bi-national state the only just and sustainable solution to the Middle East conflict. Yet this was the same man who wrote that if there was to be one lesson from the 20th century, it was that “the more perfect the answer, the more terrifying the consequences”. This apparent contradiction between the radical and the pragmatist often left Judt in the cold. "I'm regarded outside New York University as a looney tunes leftie, self-hating Jewish communist; inside the university, I'm regarded as a typical, old-fashioned, white male liberal elitist", he recently quipped. But such positioning is what made Judt such a great writer. He was no pacifist or fence sitter, but as a documenter of the Soviet Unions’ crimes his writing was characterised by a rejection of ‘master narratives’, whether Marxist or neoconservative, which sought to explain or reduce every phenomenon through an over-arching ideology; that is, absolutism so cocksure it invariably finds its most natural expression through violence and bloodshed - but always, as Judt regularly quoted Camus as noting, the bloodshed of others. Instead Judt argued that “incremental improvements upon unsatisfactory circumstances are the best that we can hope for, and probably all we should seek”. His creed was that of a thread of social democratic ideas which though argued for belligerently never believed it could explain or befit any event before it had happened, and so in acknowledging its infallibility naturally found expression through words and argument, a passion and commitment to slow democratic struggle, to faith in the everyday banalities of activism and collective thought above the outlandish fashion statements parading as serious politics of Chomskyite vogue. It is this which puts him most firmly in the tradition of Orwell. Orwell was one of the most important authors of the 20th century, but he is misunderstood if he is quoted as a guru of untouchable truth and virtue. As Christopher Hitchens has written, he is best appreciated as an ordinary man who first and foremost battled his own imperfections, prejudices and pride in the pursuit of intellectual integrity. The point here is that this is an extremely difficult pursuit – as Orwell wrote, “to see what’s under one’s nose requires a constant struggle”. It is also a rather unfashionable one. Countless writers and thinkers set themselves up as tellers of ‘impolite truths’ or contrarians but often this is simply a posture - in reality they’re as liable to the same intellectual contortions as their enemies, as they try to make events chime with their over-arching view of the world or their notions of the human race’s unstoppable historical trajectory. This is not to sneer; the reason true intellectual integrity is so hard-won is because the kind of Manichean, ‘us v. them’, crusading visions of the world are so seductive. The complex problems of the world are much easier when seen through one lens. This is why even great writers like Christopher Hitchens, Nick Cohen or Johann Hari ended up supporting the Iraq invasion as an extension of the humanitarian interventions they backed in the 1990s despite huge qualitative differences - they got so caught up in the excitement of a ‘new age of liberal interventionism’ or a ‘clash of civilisations’ they just filtered out the inconvenient facts and in doing so discredited their own doctrine. It’s also why so many ‘anti-imperialists’, of which there are too many to mention, end up excusing the most hideous crimes as long as the perpetrators are anti-American. It’s because Judt took humility as the starting point of any political world view that he largely avoided such intellectual obfuscations and, ironically, in hindsight got so many of the big calls right. His suspicion of dualisms and utopia meant he hardly ever strayed from a clear sighted empiricism. Subsequently he could make radical and often prescient arguments, such as in Israel: the alternative, powerfully based on specific facts on the ground rather than as a wearing anti-establishment posture, while also being able to judge when outright overhaul of institutions was unnecessary*. He proved that it is intellectual honesty alone that renders the dichotomy between the pragmatist and the radical a false one. There is a crucial final dimension to this. This is that though he had an outstanding grip on the English language, Judt was not a fancy writer. He didn’t deal in the ‘paradigms’ or the flowery jargon which characterizes much academic writing. Like Orwell, his writing was short, sharp and to the point – and all the bolder for it. In this respect his clear thinking was reflected in his clear writing. As Orwell famously observed in Politics and the English Language, and Judt likewise in ‘The Marxism of Louis Althusser’, the more intellectual contortions an author is trying to pull, the more evasive and unreadable their writing. Thus hard-won intellectual integrity is strongly related not just to accuracy of argument, but clarity of argument, and clarity in return to accuracy; it’s a delicate, mutually reinforcing relationship which hardly anyone gets right. Judt did. Perhaps he did because as a historian first and foremost, he felt distanced from the New Left political writers of the 60s who, though important, tended to tip into dense ‘structuralist’ explanations of everything and carried within their “expressly opaque” writing (Judt’s term) a deep suspicion of traditional academic empiricism. But he did so mostly because he doubted himself constantly, watched himself constantly for hypocrisy and double standards, policed his writing for cant or bunkum. The world desperately needs more intellectuals like this, and with Judt’s passing it has lost perhaps its best, its most inspirational – and above anything else – its most truly radical of all. What Have We Learned, If Anything? *The best and funniest manifestation of which comes at the end of a brilliantly detailed and rich 1987 essay. The essay speculates on the future of Central and Eastern Europe after the overthrow of the Soviet Union in revolutions lead by intellectuals committed to liberal democracy. “If we are lucky”, Judt wrote, “there are some very dull times ahead”.